The Troika’s proposal of cash-for-reform rejected by Greece was negotiable and if Athens wanted to seek consensus, it should come up with an alternative option to a cut in pension benefits, France’s finance minister said on Saturday. “No one ever said - neither the [lending – Ed.] institutions nor the [euro zone – Ed.] countries - that it was take-it-or-leave-it, that it was an ultimatum,” Michel Sapin told Reuters on the sidelines of a ruling Socialist Party congress. 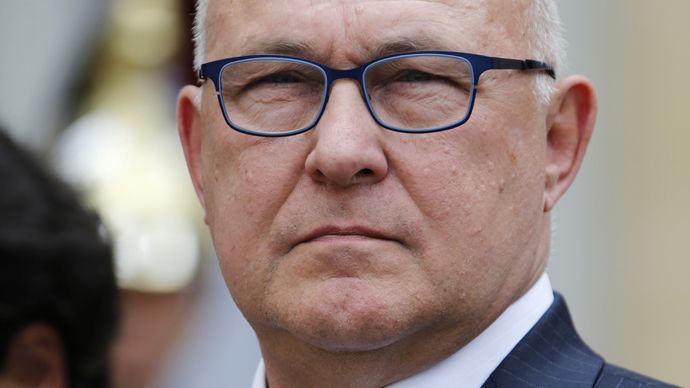 Sapin agreed the long-conducted negotiations could fail over the issue of pensions. However, he stressed that Greek government’s arguments were legitimate and urged it to seek new alternatives. “They should make different proposals to try to achieve the same overall economic balance,” he said. His reassuring comments go against judgmental statements from other EU officials warning Greece that Europe had done practically everything possible to help Athens out of the crisis. On Friday Greek Prime Minister Alexis Tsipras said in a speech to parliament that the “absurd” proposals set by the country’s lenders did not include a promise of debt relief. Greece has ruled out the terms on which the lenders have been insisting – that is increasing the value-added tax on energy and reducing supplementary payments for poorer pensioners. Athens is also insisting on primary budget surplus targets of 0.8 percent this year and 1.5 percent for 2016. Creditors, in turn, wanted these to be 1 percent of GDP this year, and 2 percent next. Despite their differences, Tsipras insisted that Greece is closer to securing a deal with the Troika than at any time. Tsipras’s Friday speech came shortly after Greece postponed making a €300 million payment to the IMF, saying it will include it with three other payments, amounting to €1.6 billion, at the end of June instead. Greek Prime Minister Alexis Tsipras is expected to hold talks with German Chancellor Angela Merkel and French President Francois Hollande on Wednesday on the sidelines of a summit in Brussels, a Greek government official reported on Saturday.